QuranReading.com is an online school registered in the state of Maryland, USA. It is the pioneer among all the online quran reading and learning service providers. QuranReading.com is not just some online Quran tutoring service provider, rather it was initiated and is currently run by the executive who shares the list of USA’s “Fortune 500”. 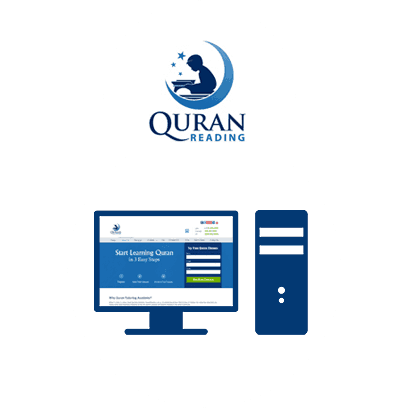 With his broad vision and experience in the High Tech industry and running educational institutions, he conceived the idea of QuranReading.com which has become a brand at present. The experienced tutors at QuranReading.com share the vision of their CEO and believe that the prestigious duty of offering Quran education should be performed with utmost dedication and commitment. Moreover, the organization also believes that the process of learning must be as simple and facilitating as possible. The experienced faculty and the vision that QuranReading.com has makes it the primary choice of the parents when it comes to teaching their children about Islam and Quran.